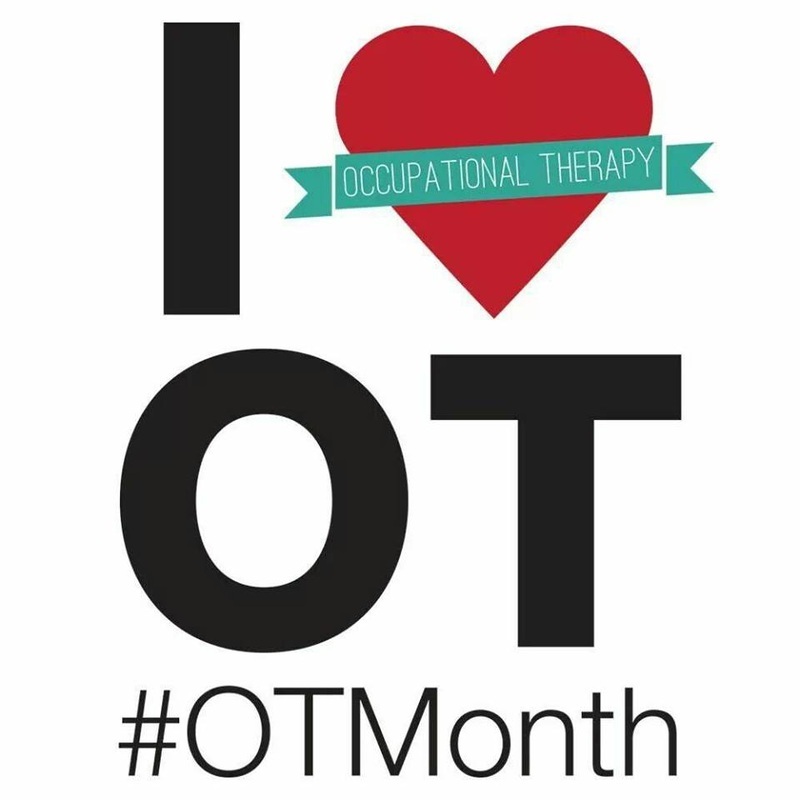 Enable Holistic Occupational Therapy - ChIT ChAT OT! In an effort to extend recess times, it was reported and observed that some students on St. Maarten were not even receiving their time outside. So here I was trying to get more, and the little that was initially there, was being reduced. This is an outrage! Play and recess are not privileges. They are rights! They are required! They are required for children in order for there to be growth and development. "Play is so important to optimal child development that it has been recognized by the United Nations High Commission for Human Rights as a right of every child." (Office of the United Nations High Commissioner for Human Rights, 1989). The benefits of recess include: social, physical, cognitive, emotional, and even teacher benefits; yes, teachers! Although it may take teachers a few minutes to get their class calmed down after recess, many observers believe that students pay better attention to lessons and disruptive behavior decreases after the recess break. Therefore, some teachers consider recess to be an important element of classroom management (Bogden & Vega-Matos, 2000). Recess also often gives teachers a break from the constant supervision of students. (Sindelar, 2002). There is enough evidence suggesting that play and recess are essential to the growth and development of children. Need anymore truth? Look to yourselves! I grew up playing, you grew up playing. There were a lot less screens in our faces and play was spent outside. Now consider the children today, in front of the screens. 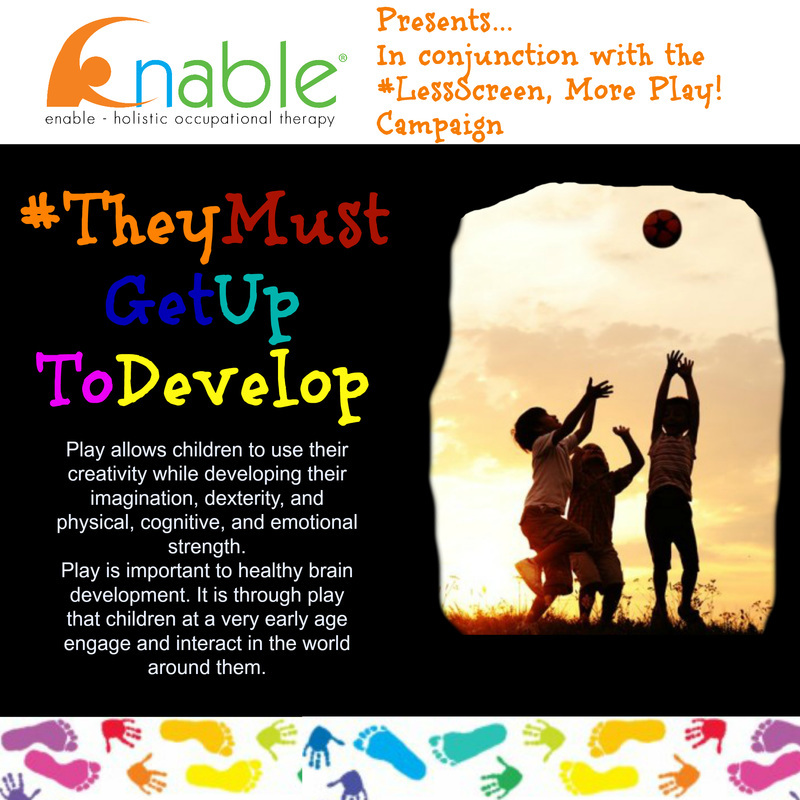 This has resulted in poor fine motor skills, poor cognition, poor socio-emotional skills, rise in obesity of children and adolescents, etc. Therefore, with all of that said, why is there a movement to reduce or eliminate recess? Why are children spending their recesses inside of the classroom? This movement needs to come to an abrupt stop! It is not beneficial to the teachers and most importantly the children. If you or your staff would like more information on that subject, feel free to contact the occupational therapist at Enable. - Bogden, J. F., & Vega-Matos, C. A. (2000). Fit, healthy, and ready to learn: A school health policy guide. Part I: Physical activity, healthy eating, and tobacco-use prevention. Alexandria, VA; National Association of State Boards of Education. - Council on Physical Education for Children. (2001). Recess in elementary schools: A position paper from the National Association for Sport and Physical Education [Online], Available: http://www.aahperd.org/naspe/pdf_files/pos_papers/current_res.pdf. - Ginsburg, K. R. (2007). The Importance of Play in Promoting Healthy Child Development and Maintaining Strong Parent-Child Bonds. Pediatrics. Volume 119, Issue 1. - Sindelar, R. (2002). Recess: Is It Needed in the 21st Century? Clearinghouse on Early Education and Parenting. The occupational therapist at Enable, D'Antoinette Sorton, was recently on Speaking of Everything with host, Oral Gibbes, where she was able to explain OT and its benefits. Contact Enable if you require anymore information regarding topics discussed. Let's celebrate and promote the best occupation in the world! Enable was featured in this week's health section of The Daily Herald! 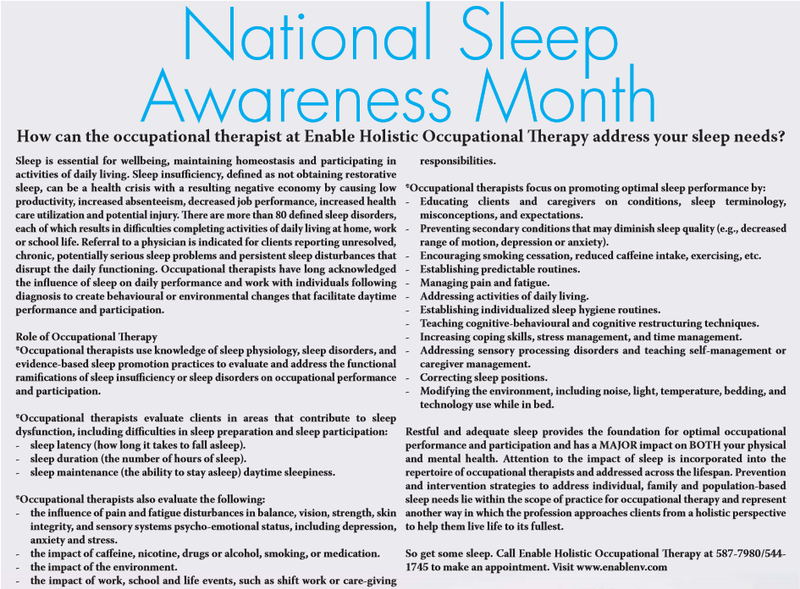 Find out how Enable can help you with your sleep needs! Get some sleep! 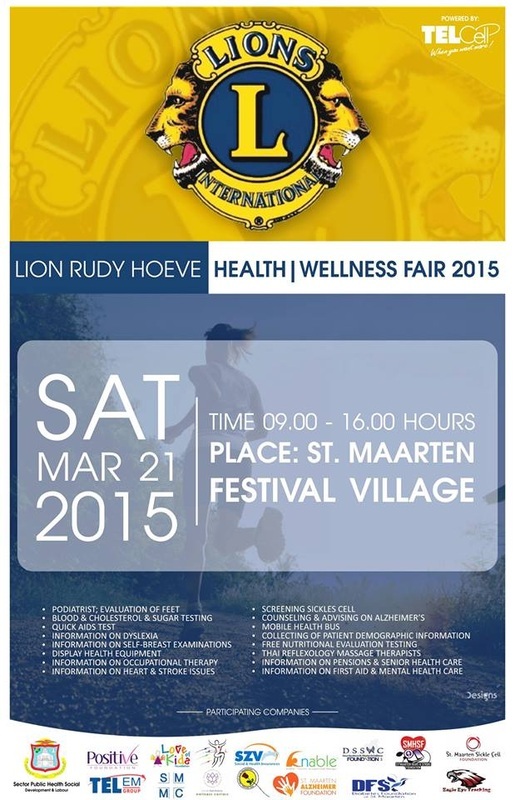 Come out on Saturday, March 21st from 9am to 4pm to get all of your health and wellness information! Come out with your children especially to our launch of #LessScreen, More Play! Campaign. There will be lots of games and activities for your children to participate in, while you get information on how occupational therapy can benefit you and your loved ones! Is your child constantly staring at a screen? Watching TV? Playing video games? Why aren't they outside playing in the sun, like you did when you were young? There has been a recent influx of articles discouraging the use of tablets, ipods, smartphones, etc. for children under 12, due to lack of development and reaching of milestones. In an effort to gain a wide-range of activities, Enable is starting a campaign to not only promote awareness, but also to provide alternative activities that children can do, especially on St. Maarten, to keep them moving and shaking! By encouraging more physical activities and less sedentary screen activities, this will benefit them physically, cognitively and psychosocially. Please post your idea of screen-free fun to any social network by adding #LessScreen, more (your screen-free activity here)! That way, when in doubt about what to do with your children, you can easily access the hashtag feed and have a list of activities to choose from! Get health updates with an OT-Twist!